RIDES is a nonprofit public transportation provider servicing nine counties in northwest Iowa. The organization is funded by the state, counties and passenger fees. RIDES felt that its previous managed IT solution wasn’t working and that they were being underserved for the investment, so the company made the decision to go out to bid for a new IT solution. After using a point system to evaluate the submitted proposals, RIDES awarded Marco the project based on criteria such as organizational structure and size of the firm, qualifications of the IT team and the understanding of work and time to complete the project. The most important benefits that Sam Johnson, Chief Financial Officer of RIDES, felt that Marco presented and conveyed was the investment and knowledge of the IT world that Marco representatives, Dustin Bonn and Chad Ronshaugen, displayed to them and the experience of the large, well-staffed company. When its previous managed IT provider left RIDES with no support, Marco was able to step in and switch service over very quickly. “Dustin and Chad stepped up to the plate, made us a priority and made it a smooth transition,” said Johnson. The staff at RIDES have also adjusted to the new system and have come to rely on Marco’s support desk when issues arise. 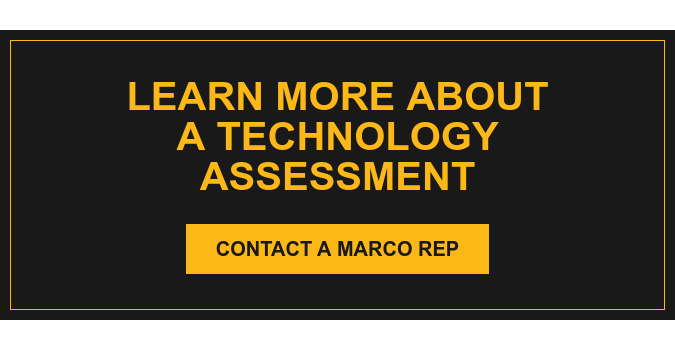 The company was also in need of an IT refresh, so together the staff worked with Marco to implement an updated solution and new backup solution. Prior to Marco, RIDES was using a tape backup and was unsure of the reliability it was supplying. Now with the new backup solution, Johnson said the staff have peace of mind knowing that the organization’s data is being backed up and accessible if a disaster was to happen. The problems that the company was experiencing are now a distant memory according to Johnson, and beyond the ROI of saving $20,000 a year on IT support with the new solution, they have developed a comfortability with Marco.